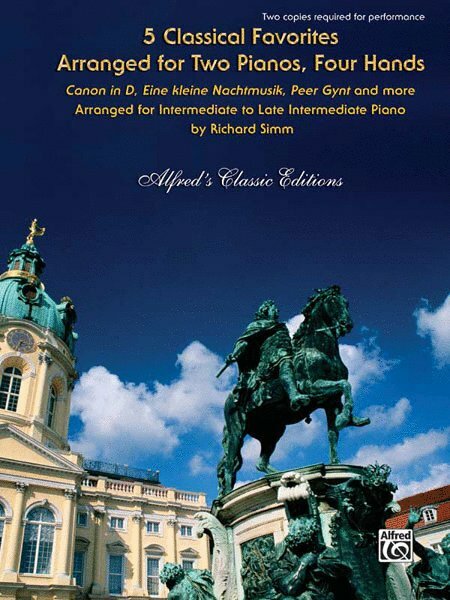 The 5 Classical favorites in this collection have been masterfully arranged for two pianos, four hands. 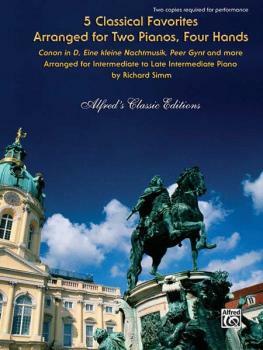 Titles: Arrival of the Queen of Sheba * Canon in D * Eine kleine Nachtmusik * España * Peer Gynt Suite ("Morning Mood," "The Death of Åsa," "Anitra's Dance," "In the Hall of the Mountain King"). 2 copies are required for performance. "Canon in D" is a Federation Festivals 2014-2016 selection.